It’s week 18 in the Premier League and it’s The Citizens v The Lilywhites: Manchester City v Tottenham. It’s also the Club World Cup final with Real Madrid v Grêmio, and, of course languagecaster brings you another Football Language Podcast. On the show we have predictions, a quiz question, football language and news from the past week. If you have questions or comments, email us at:: admin@languagecaster.com (Damon= DB). 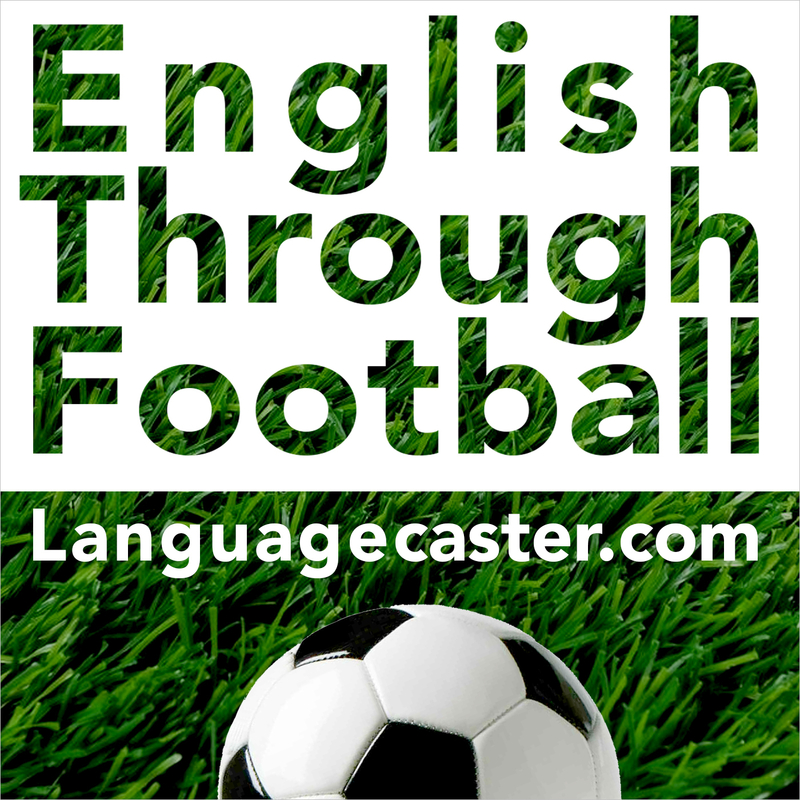 DB: You are listening to Languagecaster’s football-language podcast. 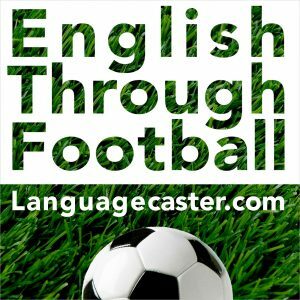 Hello and welcome to the podcast for all football fans and for those interested in improving their English. My name is Damon and I am here in Tokyo on a sunny, but wintry Sunday morning. We’ve got a lot to get through so let’s get cracking! We’ll start with the good, the bad and the ugly, which is our look at some of the footballing stories from the week. After that, we’ve got a quiz question. We’ve got a few footballing phrases to look at, as always; this week we’ve got shut up shop and be drawn against. And we’ll finish with predictions and we’ll focus on the following three games: Manchester City versus Tottenham, Brighton against Burnley, and West Bromwich Albion v Manchester United. DB: Yes, you are listening to languagecaster.com and that message was in Cantonese. Now, if anyone would like to send us the message ‘You are listening to languagecaster.com’ in their language that would be great! OK, next it’s the good, the bad and the ugly – footballing news from last week. Let’s start with good. A great move in Norway for equality, as the football association there has decided to pay the women’s and the men’s national teams the same salary! Of course, at club level things will remain very different, with the men getting much higher wages, but it seems sensible that citizens representing their country should be treated equally in terms of pay without reference to their gender. Great stuff from Norway!. It reminds me of when the Japanese women’s football team had to fly economy class to the Olympics in London, even though they were world champions, while their male counterparts travelled business class. And before bad, we should also mention that it was good, well great, for Toronto FC who won the MLS Cup beating Seattle Sounders 2-0, and also good for Kawasaki, who won the J-League Championship on goal difference on the last day, as their rivals Kashima failed to win their last game allowing Kawasaki to pip them at the post. As for bad, well it was fairly bad for the Spanish teams in the Champions League draw for the last 16. None of them had an easy opponent with Barcelona drawing Chelsea, Real Madrid getting the new boys on the block PSG and Sevilla having to face Manchester United. It wouldn’t be a massive surprise to have no Spanish teams in the quarter-finals. And ugly? Well, not ugly but definitely funny and embarrassing. Earlier this week Chelsea fans travelled to newly promoted Huddersfield Town and watched as the Blues ran out comfortable winners. The travelling fans enjoyed the game so much they taunted the opposing Huddersfield supporters singing “Champions of England, you’ll never sing that,” to the minnows in the Premier League. Embarrassingly for the Chelsea fans, they forgot that Huddersfield have been Champions of England three times – between 1923 and 1925 they won the title three times on the bounce! Nearly 30 years before Chelsea managed the feat. DB: Remember that we would love to hear your comments or suggestions, and you can do this by getting in touch with us via admin@languagecaster.com, we have a twitter page, Facebook – keep spreading the word! We also have an Instagram page with lots of football-related photos. If you come along to the site, languagecaster.com, and click on the podcast post, you can read the transcript for the show too. DB: Right, next it’s our weekly quiz. This week Manchester City in England set a record in the top flight English game with 15 wins on the bounce. We want to know, which team from the other big leagues in Europe – France, Germany, Italy and Spain, has a longer winning run? Answer at the end of the show. Next up we’ve got some English for football phrases. DB: OK – to be drawn against is our first phrase. For each round of knock-out football a special draw is carried out to see which teams face each other. The Champions League knock-out draw has just taken place this week so the 16 remaining teams know who their opponents will be for next February’s games, for instance Liverpool will play against Porto: they have been drawn against Porto. The phrase, ‘to be drawn against‘, therefore, is used to describe the process when teams find out the names of the opponents they will play in the next round. For example, Tottenham have been drawn against Juventus in the 2017-18 Champions League knock-out stage, while Manchester City were drawn against Swiss side Basel. DB: Our second phrase is, To shut up shop. This is used to describe a situation when a team wants to protect its position in a game. This might be when a team is leading or even drawing against a stronger side with not long left to play in a game and so they defend in numbers, most of their players are focused on defending. It can also refer to a tactic from the start of game, to not allow the other team to score. Here’s an example from Skysports (October 2017): I watched Manchester United at Huddersfield and they were poor. That was after they went to Liverpool and just shut up shop; and here’s another from The Express and Star (October 2017) Despite many supporters lambasting his tactics of trying to shut up shop against Watford, Pulis insisted there were positives to draw, despite losing two points at the death. Right, it’s time for our final section, the predictions. DB: The leaderboard after the week’s games shows that Alexrr is ahead of Johnny Magicboots – 119 to 107 – with me in third on 103 and Damian in fourth on 100. Next weekend, we’ll announce the winner; I wonder who will receive our Winter Break prize? OK. let’s take a look at three of the games from this weekend’s fixture list in the Premier League. DB: Burnley have really surprised a lot of people with how well they have done. At one point, they jumped up to fourth in the table, and are now equal on points with Tottenham and Liverpool. Could they maintain this form? I expected them to beat Brighton and Hove Albion, a newly promoted team 2-1 away win and keep the pressure on Liverpool and Spurs. Damian thought it would be a stalemate – a nil-nil draw. The game was a 0-0 draw so 3 points for Damian and none for me. DB: Next was the big one and Damian, a Tottenham fan, must have been nervous before this. His side visited record breaking Manchester City. I was really looking forward to this one as I thought it would be a real test for City, as Tottenham tend to play well against them. I went for a 2-2 thriller! Damian wasn’t how it would go, as Spurs were missing key players while others haven’t yet hit form. He feared a thrashing, but would have been happy with a draw but went for a 2-1 City win. Damian got the result right, a City win, so one more point and none for me. City steamrollered Spurs 4-1 to really stamp their authority on their rivals. DB: Finally, we’ve got a Sunday fixture, so later today, with West Brom, under their new manager Alan Pardew, hosting Man United. West Brom will have been very pleased to come away from Anfield with a well-deserved draw. Can they do the same or better against Manchester United? I don’t think so. Unlike Liverpool, I think Man United can always seem to find a way to win in this type of tight game. I expect them to win 2-1 even if West Brom try to shut up shop. Damian agrees with me, but thinks the score will be 2-0. DB: OK, next up is the answer to the quiz question. We wanted to know which team from France, Italy, Germany or Spain has a better winning record than Manchester City’s fifteen on the bounce. The answer is Bayern Munich who managed 19 in 2013/14 – under the leadership of Pep Guardiloa of course! DB: OK, that’s it from this week’s podcast. See you all again next weekend, the weekend before Christmas, when we will be in the middle of the crazy winter schedule in England with games coming thick and fast. One of those will be Arsenal v Liverpool! Ta-rah!